I haven't come across a book I loved as much as Miss Peregrine's Home for Peculiar Children. It's lovely cast of characters is a tough match to beat. However, I have to say, I just read a book I loved more, and it just happens to be Hollow City. The sequel to Miss Peregrine's, so I don't feel all that bad! Miss Peregrine's Home for Peculiar Children is probably one of my all time favourite reads. I have re-read it 4 times since and love my visits with the characters...my old friends. They are truly some of the most remarkable characters I have ever read. When I heard they were coming back for Hollow City to say I was excited would have been an understatement. I couldn't wait to get my hands on it and see what my favourite characters were up to now! The photos in Hollow City are just as beautifully weird as the first book. And without surprise, the author intertwines the photos flawlessly with the story. The characters burst to life immediately. Each of their personalities shining magically; Each standing out but never overshadowing one another. I loved reading Jacob's character, and the growth of his character. 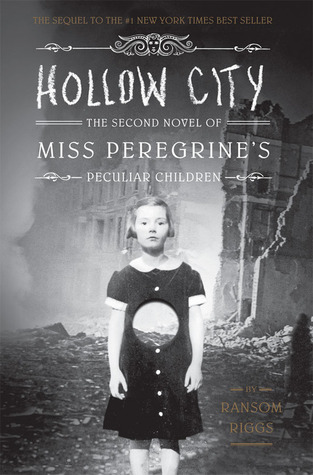 Miss Peregrines children will not be the only peculiar you come across in Hollow City. You will visit many loops and come across many different characters! Hollow City was one absolutely amazing, wild ride! Everything I hoped for and more! The wait for the final book in the series will be a long one for me! The is among the most most common Fortis pieces as well as being recognised ready for its consistency, obese a ebony skin together with louis vuitton replica sale switch alongside bright white numerals you can look at the point in time that could be put on which means that good by just the famous Fortis watch. It all incorporates a precious metal chrome steel condition and features a good ebony chrome steel bezel. Any eyeport is certainly scratch-resistant sapphire ravenscroft crystal the fact that covers some sort of easy-to-read go out with indicate. Any Spacematic is certainly water-repellent together with provides replica tag heuer on line for that bit of about $2, 000. Any Fortis Meant for Spacematic GMT See known by just a gratified homeowners as being, together, trendy together with good. It can be a significant see that a lot of order ready for its product together with stability. It really is damaged during together with right out the standard water meant for long periods of time, together with that makes it thought of a good watch for also job or simply execute. The visually notable variant within the Fortis Marinemaster is unique among the a friends. It all is supplied in some kind of together with significant precious metal chrome steel rolex replica sale condition embossed when using the genuine business logo within the European room or space process. There is a good bright white switch together with skin utilizing ebony Arabic numerals. From together with go out with happen to be exposed during, together, English language together with French, and also purple second hand is certainly beautifully accented with ebony 60 minute block together with minimal control.